Plan_Chalet – ThermoBuilt Systems Inc. 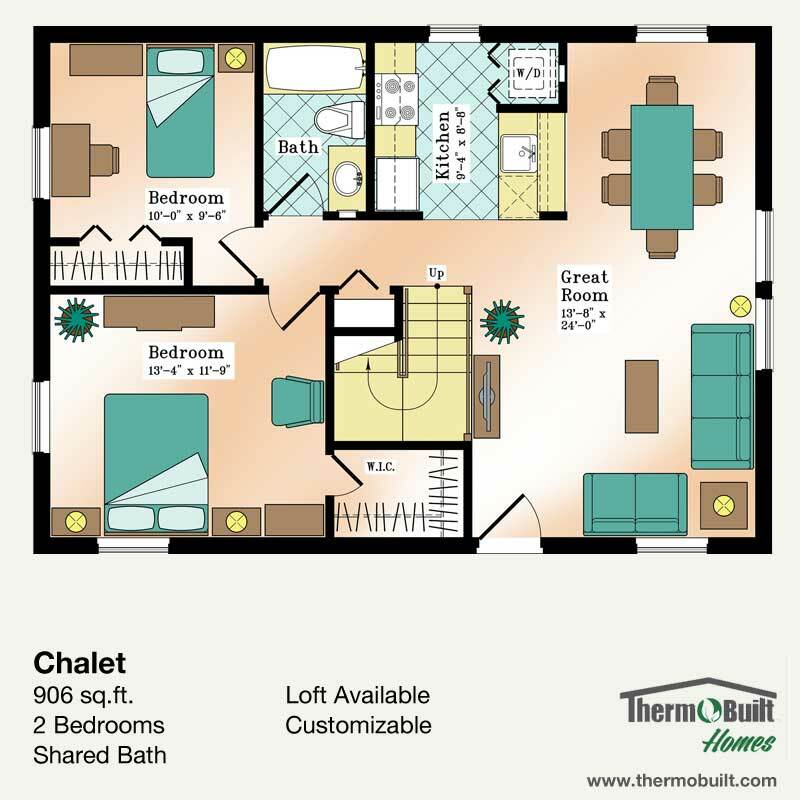 The Chalet plan is a 906 square feet, two bedroom and full bath plan well suited for a variety of surroundings. This plan is designed to accommodate the addition of a Loft. A full bath completes the floor plan without the loft. LINK: The Loft version offers an additional 290 square feet of living space, and additional storage options. Available Loft: Yes. Click here to view Loft Plan.